'Lethal Weapon' actress Chandler Kinney was on the pink carpet on Sunday(December 10th) for the Chandler's Friends & Fox's 'Lethal Weapon' Toy Drive & Wrapping Party at the Los Angeles Ballet Academy in Encino, CA. 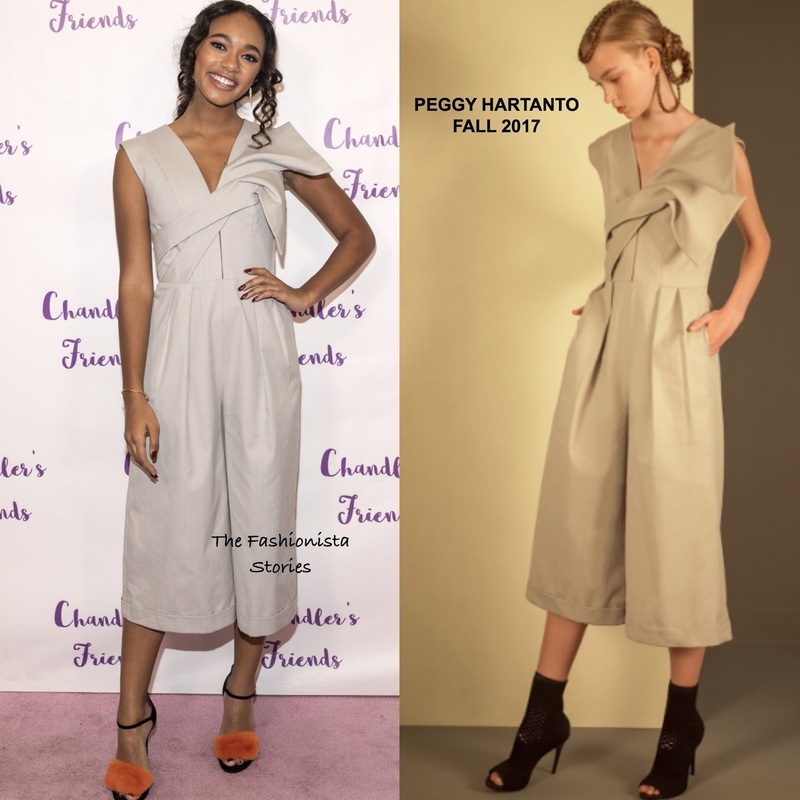 For the occasion, she turned to PEGGY HARTANTO wearing the designer's FALL 2017 sleepless light grey culottes jumpsuit with a v-neckline, a detailed bodice and pleated pants. Keeping her look interesting, she styled her jumpsuit with LORIBLU black suede ankle strap sandals with a contrasting orange fur panel. LILOU jewelry, kohl rimmed eyes and a curly, low ponytail finished up her great look.